The Kawneer and Traco distributor with industry leading fast, high quality, custom fabrication and service. 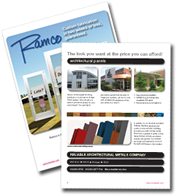 For nearly 60 years, Ramco’s mission has been to exceed our customer’s expectations for quality, service and value. In 2010 Kawneer recognized that commitment to excellence by partnering with Ramco as a Kawneer and Traco distributor and fabricator. 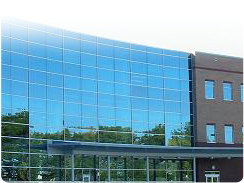 In addition to being a Kawneer, Traco, Cline and Laminator’s Inc. distributor, Ramco proudly manufactures and distributes our own line of quality entrances, storefronts, windows, curtain walls, and the very popular aluminum bi-fold doors and windows. 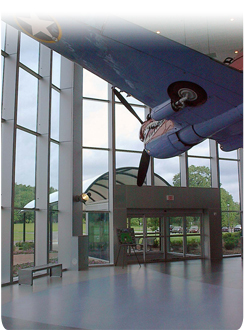 We also carry a full line of composite panels, glass, break metal, and related accessories and hardware. With a 2-week guarantee for custom fabrication, affordable delivery, and unmatched customer service and expertise, we at Ramco look forward to being a partner in your success.